I am pretty amazed at all the things you can do with coffee grounds. I am barely touching the surface here with my little list. There are some amazing ways to reuse, or enhance life with these uses for coffee grounds. I drink a ton of coffee in my porcelain french press (here’s the one I have). I end up with at least a 1/4 cup of coffee grounds each day. Keep slugs away from certain area by spreading a barrier or line of grounds. They don’t like the acidity of coffee and they will stay away. Carrots and radish – Mix coffee ground and the seeds together when planting. This can increase harvest, and help keep pests away. Coffee playdough – Yep you read that right. With a few ingredients, you can make some playdough using coffee grounds. Although, I am not sure what would happen for children if they ate this dough. Spent coffee ground still contain caffeine. Remove odor from hands – You just cut a bunch of garlic, and guess what, yep your hands STINK! Rubbing coffee grounds on your hands will help take away the odor. 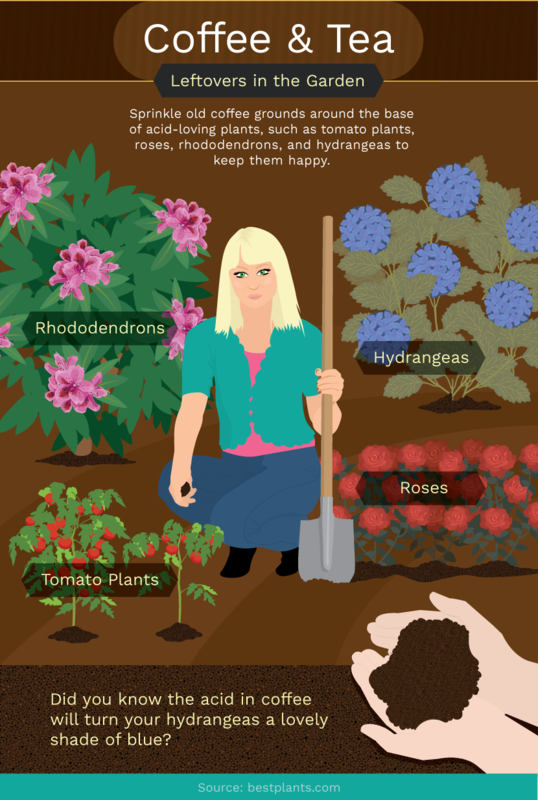 Uses for coffee grounds around the home and for fun. I especially love these fun crafty ideas below. Like the candle, and painting. What fun ideas! 6. Fridge refresher – Instead of using baking soda place coffee grounds in a mason jar with an open lid. 7. Coffee candle – Make a candle with coffee grounds in it. I love the smell of coffee, so I love this idea! 8. Paint – That’s right, you can use coffee ground to paint! Place your grounds in some water overnight. In the morning separate the grounds, and use the colored water and use it to paint! 9. Dark circles under eyes – I haven’t tried this. Maybe I should. Mom of four, yep I could use some help under the ol’ eye bags! 10. 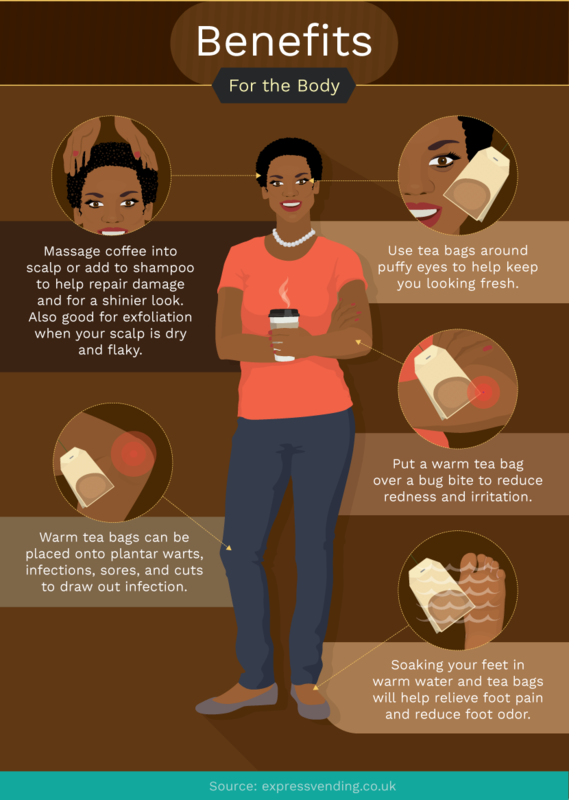 Hair – Massage coffee grounds onto scalp. May help with damage, and dry scalp. 12. Air freshener – Coffee ground can help absorb odor. Leave some out in an open container. With no harsh chemicals like most air fresheners have. Major plus! 13. No-Bake Energy Bites – These look so good! 14. Clean the fireplace – Use wet coffee ground to clean up the ashy mess. Just sprinkle the ashes in the fireplace (after it has completely cooled) and then sweep it out. 15. 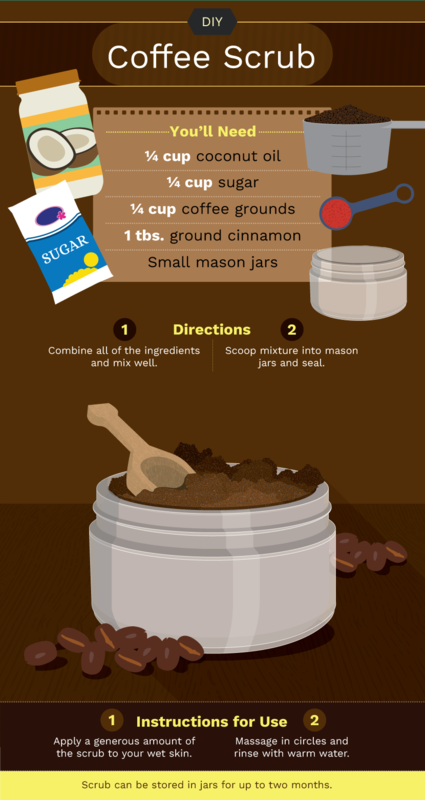 Make a coffee sugar scrub – great for exfoliating! This post was shared on the Homesteader Blog Hop! Thank you for the great info Kristi! I am pinning to my board for later. Have a lovely week! Thanks for stopping by Marilyn! It means so much! See you next week at #WonderfulWednesdays! Thanks for the tips! I’ve been collecting empty gallon sized pickle jars to use as canisters, etc. I found it was almost impossible to deodorize the lids, until I thought of – coffee! After completely cleaning a jar and letting it dry, I put a little coffee in it, screw the lid on and turn it upside down. Let it stay like that for a few days and the coffee removes the smell from the lid! I use fresh, dry coffee grounds for it, but I’ll bet used grounds would work as well! It takes just a little. That’s such a wonderful idea! Why didn’t I think of that? Hah! I use my pickle jars to store my grits. They end up having a pickle taste and the kids love them, lol! I don’t know why but they are good. It’s so weird lol. I have a couple of pickle jars that need cleaning, so I will try your method. Thanks for the great tip, Sharon!